Lauren Conrad first found fame on the MTV reality show The Hills but has since become known for her impeccable sense of style. 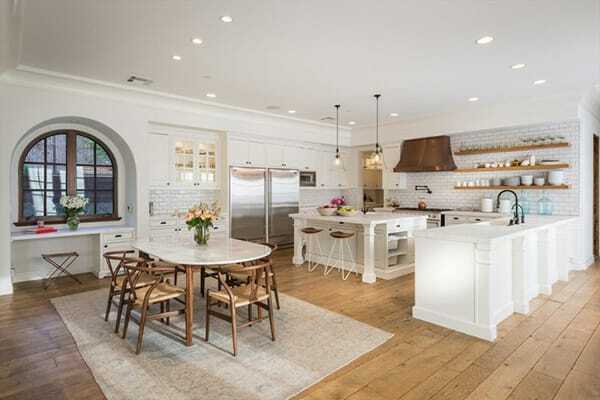 She recently sold her Pacific Palisades mansion for $5 million, which she completely renovated with a fresh, contemporary flavor that preserves the original character of the home while giving it that chic touch that Lauren is known for. The home includes beautiful elements like high ceilings, wood floors, a gourmet kitchen, plenty of windows, and an open floor plan. Then, outside is another incredible living space with breathtaking views, an outdoor kitchen, and a pool with a waterslide. It’s definitely a dream home. Enjoy the tour of this amazing residence courtesy of Pop Sugar. The Spanish-style exterior is gorgeous, including an archway and Juliet balcony, all surrounded by hills that provide privacy. 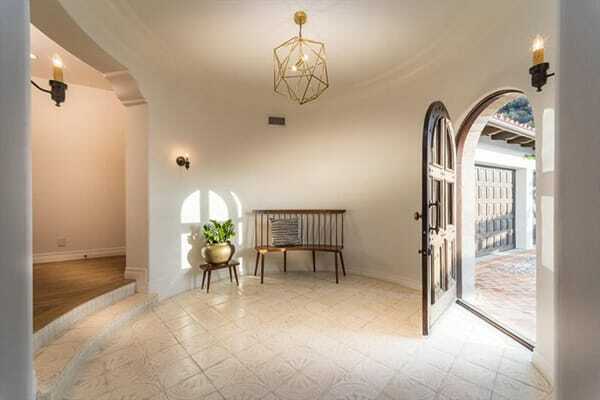 The rounded entryway is unique and greets you with charm right off the bat. How lovely is that wrought iron staircase and the wood floors? Modern furniture creates a lovely contrast with the old world appeal of the architecture. Built-in shelving and storage offer plenty of storage and character in the dining room. The all-white, gourmet kitchen is nothing short of a dream with plenty of counter space and storage space, as well multiple eat-in areas. The family room opens up onto a beautiful, private backyard. I love the wooden shutters that match the gorgeous wood floors in one of the spare bedrooms. The master is full of light from arched windows that look out onto a stunning view. The dressing room is rounded with a beautiful floral wallpaper and access to the Juliet balcony. The master bathroom is spacious with a clawfoot tub and glass shower. 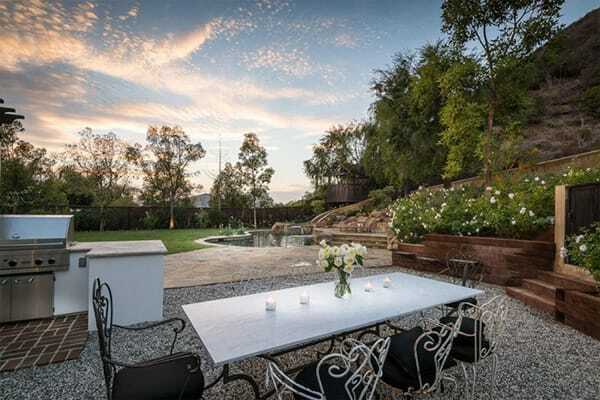 Could you just imagine having elegant dinner parties on this incredible patio?